The accuser, Adam Williams, claims Tesla fired him for what he knows. Tesla is being hit with a lawsuit put forward by a former employee, who claims the company sold defective vehicles and fired him because he knew about it. The former employee, Adam Williams, stated in the lawsuit that he was hired by Tesla in 2011, and during his employment he discovered the company failed to “disclose to consumers high-dollar, pre-delivery damage repairs” before transactions were complete. Believing the practice to be illegal, Williams approached his superiors — his direct superior Matt Farrell, a company vice president Jerome Guillen, and Lenny Peake, Tesla’s East Coast Regional Manager — on several occasions, yet Tesla took no actions to adjust what they were doing. Instead, according to Williams, he was demoted. In early 2017, Brian Applegate, a Tesla director, demoted Williams from a regional manager to a service manager at the company’s Springfield, New Jersey location. Then in July 2017, Williams claims he was demoted again to mobile manager before ultimately being fired two months later. Williams was informed that his employment was terminated due to his work performance. Instead, he is arguing that his performance met Tesla’s standards, and he was fired because he reported Tesla’s alleged illegal practices. Williams believes his actions are under protection of the Conscientious Employee Protection Act (CEPA) — New Jersey’s “whistleblower act” that is meant to protect workers from their employer in the event that the employee chooses to report what they believe is illegal behavior. In a statement circulated to outlets like The Verge and Business Insider, a Tesla representative stated Williams’s claims are “totally false,” and his termination and talk of selling of defective cars is “not how we do things at Tesla.” The representative went on to reiterate what Williams claims is untrue: that he was fired for performance reasons. “It’s also at odds with the fact that we rank highest in customer satisfaction of any car brand, with more owners saying they’d buy a Tesla again than any other manufacturer,” said the Tesla representative. While Tesla’s overall customer satisfaction seems to contradict part of Williams’ claims, it’s not yet clear what impact the lawsuit will have on the company’s future. What’s more, this isn’t the first lawsuit Tesla’s been a part of. 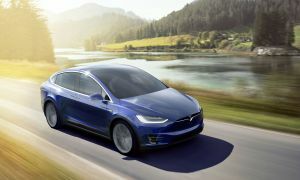 In 2016, Tesla settled with a Model X owner who sued the company over alleged design flaws; the company may attempt to similarly settle out of court with Williams, if only to quickly put the matter behind them before it becomes a bigger issue. Dealing with Williams’s suit as soon as possible would allow Tesla to address its other challenges, including their continued financial losses. While it may come as a surprise to many, Tesla has seen more losses that profits since the company’s inception. In February 2018, Tesla reported that it ended 2017 with a $675 million loss. Perhaps Tesla should be far more concerned with ending the next fiscal year in the black than bucking the claims of one New Jersey employee.